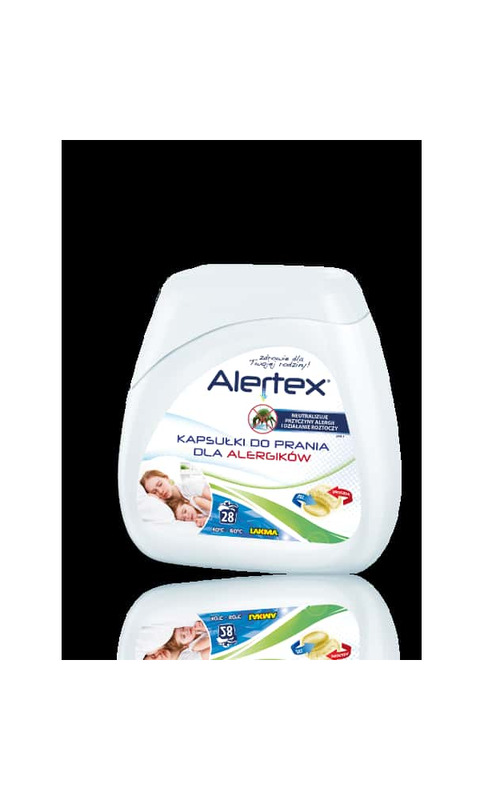 Alertex® WASHING CAPSULES FOR ALLERGIC PEOPLE. ELIMINATE CAUSES OF ALLERGIES AND DUST MITES. 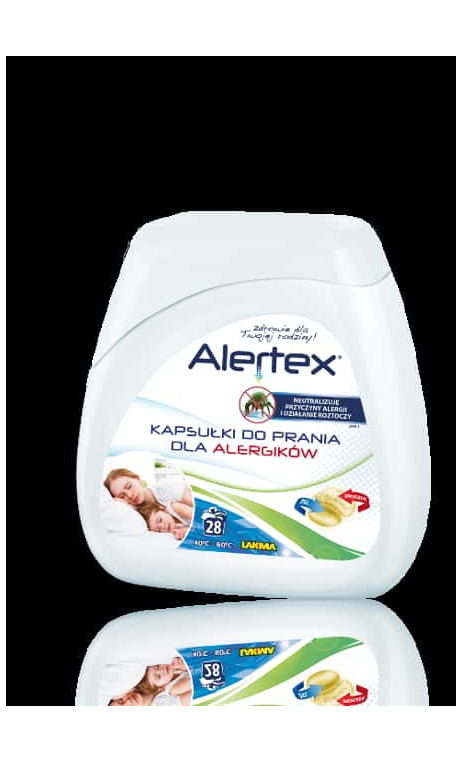 Alertex® capsules for allergic people help people sensitive to home dust, animal fur and pollen allergens. They are especially safe and gentle to the sensitive skin. Hybrid technology combines the best characteristics of washing powder and gel to ensure effectiveness and convenience. The product is recommended for white and colour laundry. Unsuitable for wool and silk. 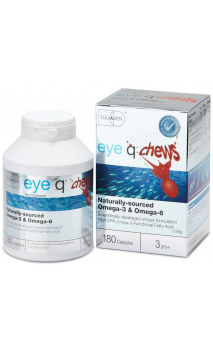 Does not contain phosphates and allergens. Improves condition of allergic people. Advanced anti-allergy formula for laundry washing. 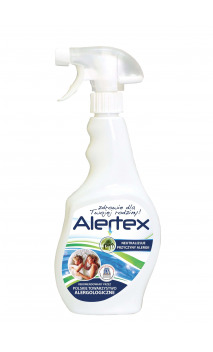 HOW TO USE: put one ALERTEX® capsule into the empty drum of your washing machine. Put the laundry and turn the usual washing program on. PRECAUTIONS. Highly irritant to eyes. Harmful for water organisms and cause long-term damage. If you seek for doctor’s advice, have the product package or label with you. Keep out of reach of children. Use eye protection. CONTACT WITH EYES: Rinse carefully for a couple of minutes. Remove contact lenses, if possible and easy to do so. Continue rinsing eyes. IF SWALLOWED: Call POISON control and information service or visit doctor immediately. Dispose of the content/container following local domestic waste removal regulations. Ingredients: 5 % < noionic surfactants < 15 %, 5 % < anion surfactants < 15 %, 5 % < polycarboxylates < 15 %, 5 % < phosphanates < 15 %, 5 % < bleach on oxygen basis < 15 %, < 5 % soap, ferment. Best before 36 months from manufacturing date indicated on the package.